Contributor post written by Rachel. A Quick Note from Kristin: Rachel is a vital part of Live Simply. While you may not see her name in print, you’ve probably enjoyed her work on the blog and social media. 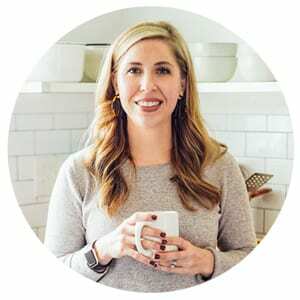 Rachel keeps the Live Simply social media channels buzzing with amazing content, the weekly newsletter void of editorial mistakes, and the weekly blogposts grammatically-acceptable. 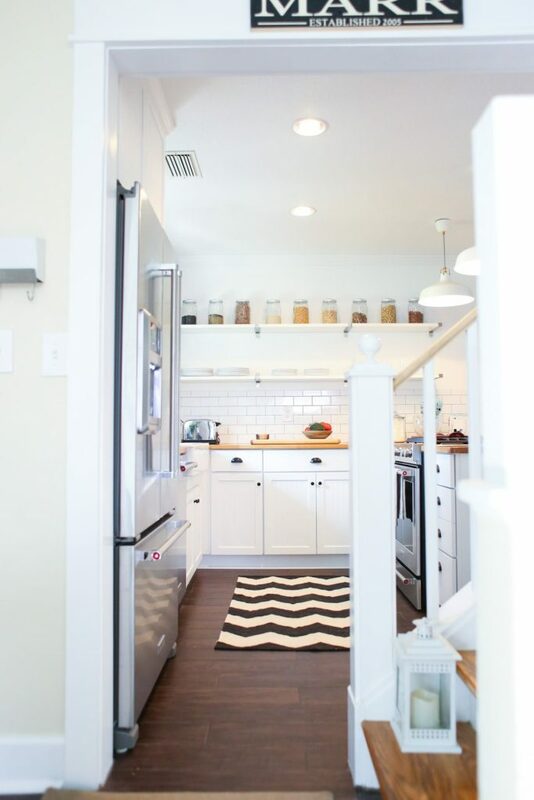 Rachel also owns a fantastic Etsy shop which I highly recommend checking out after today’s shopping trip–you may have noticed her work in our recent remodel post…look for the black “Marr” sign. Note: This series isn’t about endorsing any particular company or brand. 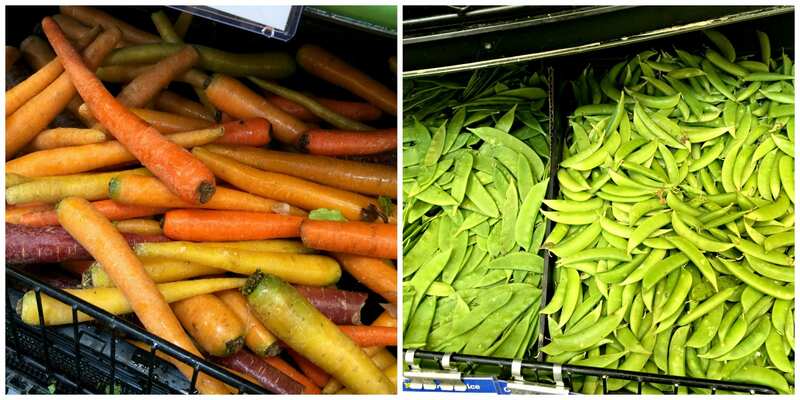 My goal is to cover major stores, where most Americans shop, to show people that just making a switch in the products they purchase is a huge first start in adopting a real food lifestyle–this only requires changing what you put in your cart. Once this hurdle is conquered, other options may be explored–farms, co-ops, and local health stores. Small, but practical changes lead to a doable lifestyle! 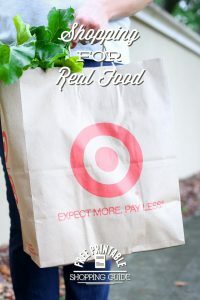 Learn more about shopping for real food under the “Shopping 101″ section on the blog. Hi everyone, it’s Rachel, Kristin’s Social Media Manager. Since there isn’t a Kroger anywhere near her, Kristin asked me if I would write this post for her. Now, there’s something you need to know about me… I was born and raised in Central Florida up until 2 1/2 years ago. If you know anything about Florida, you’ll know that Publix pretty much dominates the scene down there. So my growing up years as well as early married years have been dominated by the friendly stores of Publix. So when we moved to Georgia 2 1/2 years ago, I was introduced to other grocery stores, including Kroger. 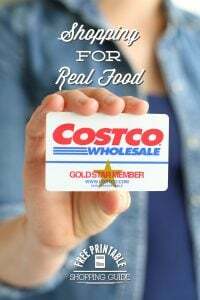 Unfortunately, I haven’t been completely won over by Kroger yet, but writing this post is helping. Now my sister, who has been out of Florida longer than I have swears by her local Kroger in Tennessee, so it might be a personal preference unique to each person and even to each Kroger store. I will, however, say that I was pleasantly surprised by the amount of real food options available in the Kroger store that I visited. 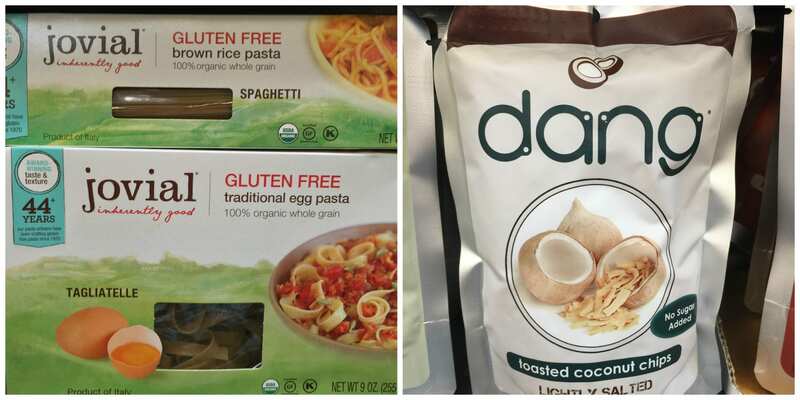 So without further ado, I present to you those real food options that I found at my local Kroger. There you will find many options to make your shopping trip easier. You can create an online shopping list sorted by either category or by aisle. They also have an app for you to download so you can make sure to have that shopping list handy when you’re at the store. Also at the website, you’ll find more information about paperless coupons that can be downloaded to your Plus Card. At the time of writing this post, there are no coupons for real food items, but I can’t say for sure that they never have those type of coupons. You can also view their weekly sales flyers which frequently spotlight produce, including organic, on sale each week. For every $1 you spend at Kroger, you’ll earn 1 fuel point. You can then use your accumulated fuel points at Kroger Fuel Centers to get a discount on your fuel purchase. Depending upon how many points you have accumulated, you could get $.10, $.20 up to $1 off per gallon! Pretty sweet deal. If you want more info on the fuel points, check here. The manager of the store I visited mentioned that not every store carries every item. 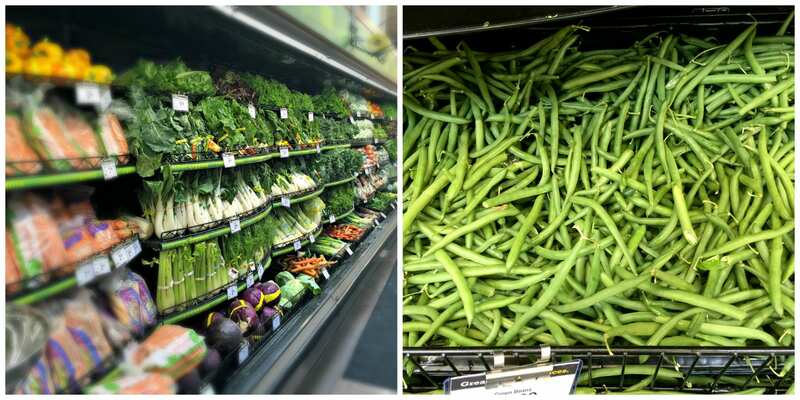 Some stores might only have space for 4 feet of a particular type of food while another might have 6 feet of space. You can ask for a particular brand at the customer service desk. They will then add your request to their “request book.” Kroger will take a look at their regional warehouse to see if they have the item there. If they do, they will send it to your store and the store will call you when they get it. This line is not exclusive to Kroger, but there seems to be a large selection of this “generic” line of food. 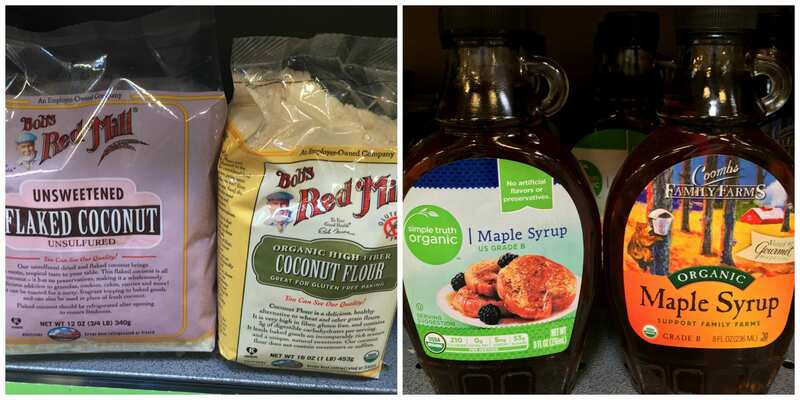 Just from looking at a small sample of these items, the ingredients seem to be mostly clean. But as with pretty much everything else, always make sure you read the labels. 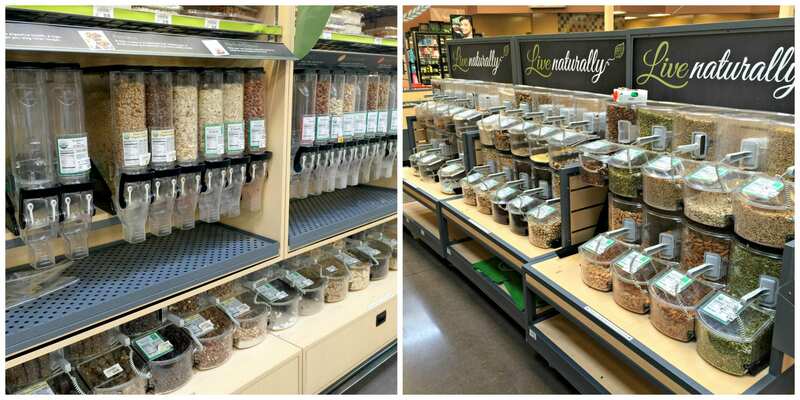 One nice thing about their selection of real foods is that they have an entire section of the store dedicated to better choices in an area using the words, “Live Naturally.” This area has refrigerated and frozen sections along with about 4-5 small aisles of dry goods. Many of the items in each section aren’t the best you could choose, which is again why it’s important to read those labels. The Simple Truth Organic foods are also sprinkled throughout the rest of the store right next to their less attractive counterparts. 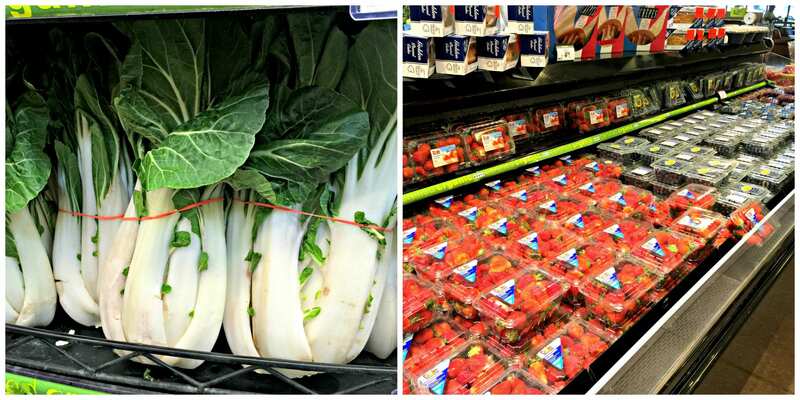 Within the produce department, especially, Kroger has many signs with pictures of local farmers and what fruits & vegetables they provide to the store. Most likely they won’t be organic, but if they aren’t on the list below, they might be better options than something from Mexico. Remember how I said I was pleasantly surprised when I visited and took a good hard look at Kroger? The thing I was most surprised about was the big selection of organic produce they had. They group their organic produce together so it’s easier to find and I would say their selection rivals our local Whole Foods. Whole Foods mixes their organic produce and conventional produce together, but overall I would venture to say that Kroger probably has about the same amount of organic produce as Whole Foods does. Also, the prices on their organic produce are quite reasonable, especially compared to the pricier Whole Foods. 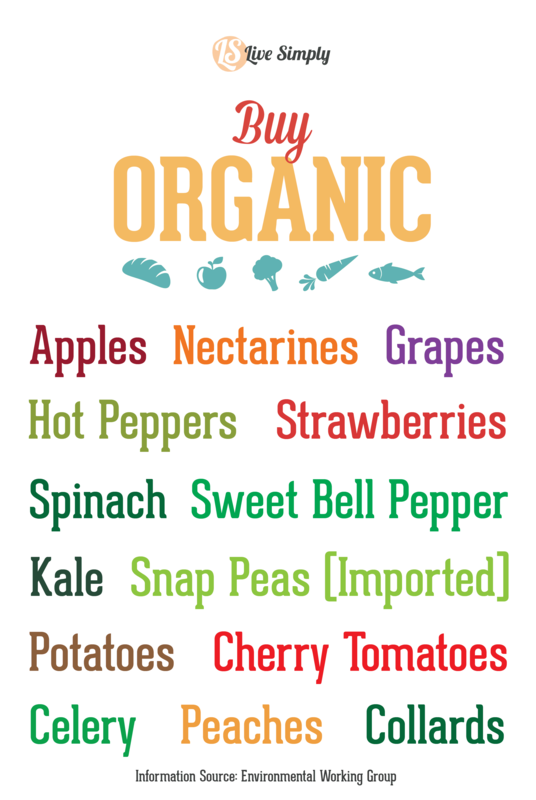 If cost is still a factor, try to prioritize your organic purchases based on the list below. 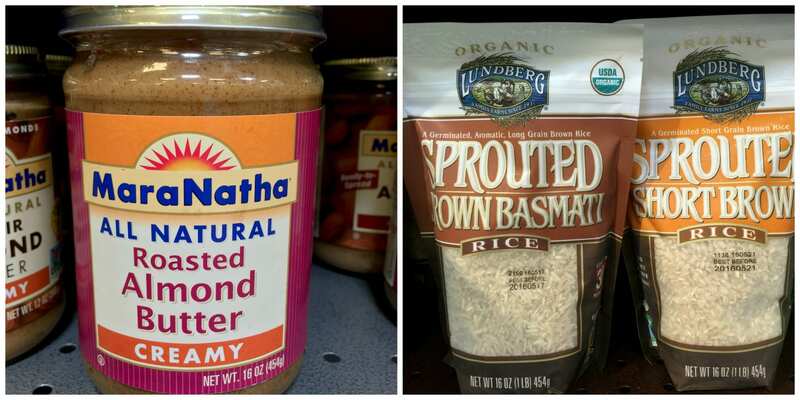 As with other grocery stores, Kroger offers both conventional & organic options, along with the local choices mentioned above. 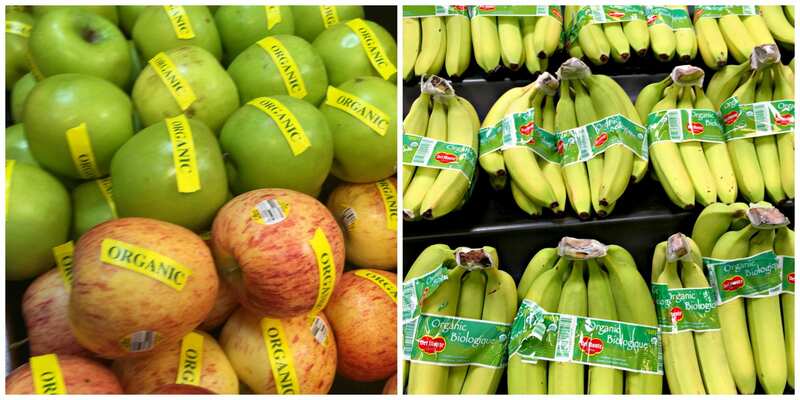 Using the Buy Organic list can help you prioritize which produce choices to buy organic. 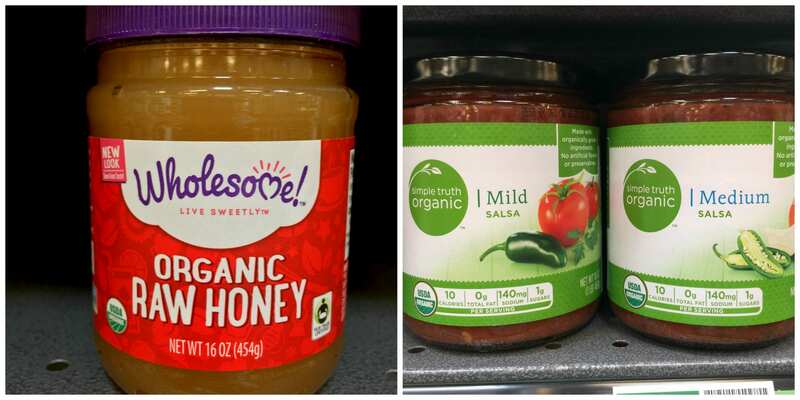 However, just from taking a quick look at the Kroger organic produce prices, buying even more of the organic produce might be possible since their organic prices are pretty low. As with all grocery stores, Kroger offers a selection of frozen produce. 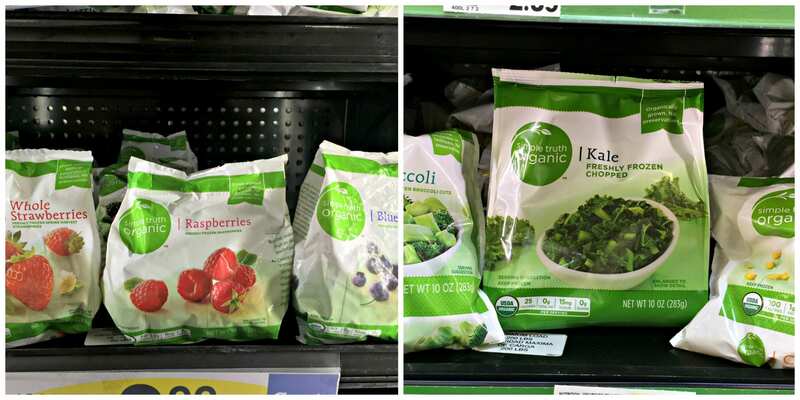 The Simple Truth Organic has a good selection of frozen fruits & veggies at reasonable prices. 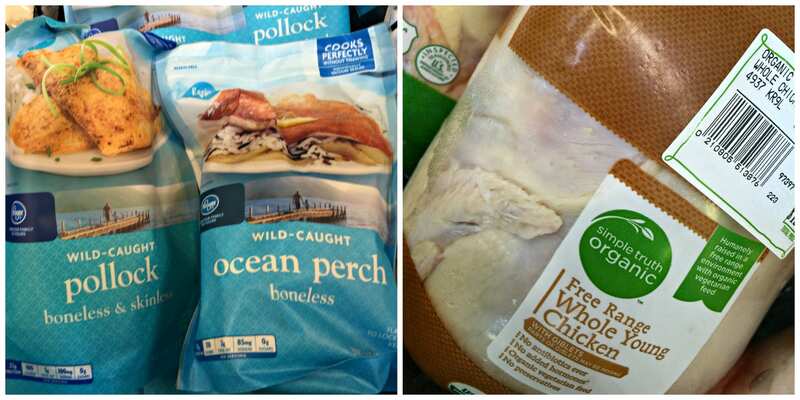 There was quite a selection of wild caught seafood in the frozen section. Included in that selection are the following: pollock, flounder, ocean perch, sea scallops, sockeye salmon, orange roughy, yellow fin tuna, halibut and Key West pink shrimp. Most of the fresh seafood was farm raised, with only a few items labeled as wild caught: cooked whole Dungeness crabs, lobster claws and southern kind crab legs. At first I was very disappointed in the meat selections at Kroger. All I could find at the first store I visited were products labeled as “natural” chicken and beef. But the next day, I visited a different store and found the Simple Truth Organic free range whole chickens and chicken breasts. 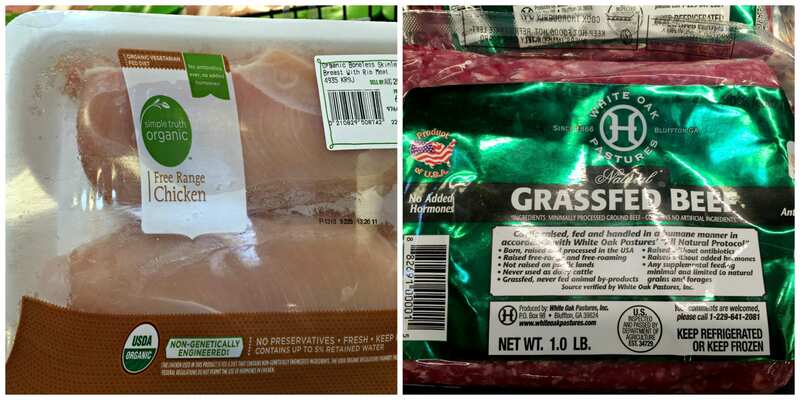 Both stores carried the same White Oak Pastures grass-fed beef that Publix carries. I don’t think I audibly gasped out loud, but I came pretty close when I turned the corner and found these lovely bulk bins awaiting me! Now not everything in them is ideal, but quite a few of the options were definitely real food approved. And at the second store I visited, I found peanut butter making machines, although it’s pretty easy to make it yourself. 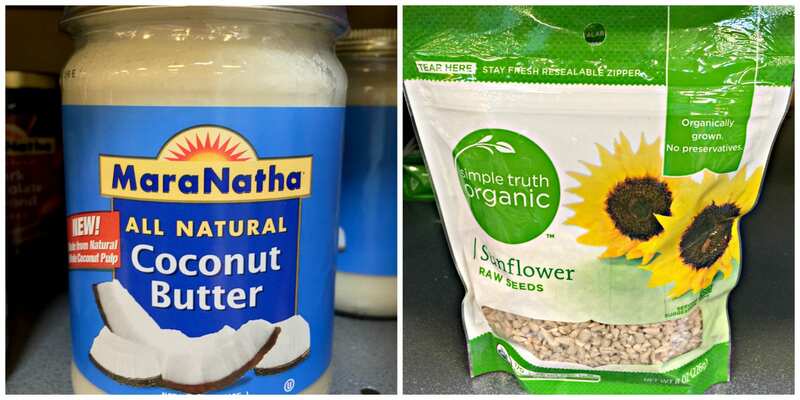 Even within the “Live Naturally” section of foods, you’ll find a junky and less than desirable selection of items. But you’ll also find some hidden gems in there as well. Now while I know how easy it is to pop your own popcorn, there are some days when you.just.can’t!! Can I get an amen?! The Buddha Bowl popcorn above really does only have those ingredients that are listed on the front of the bag. 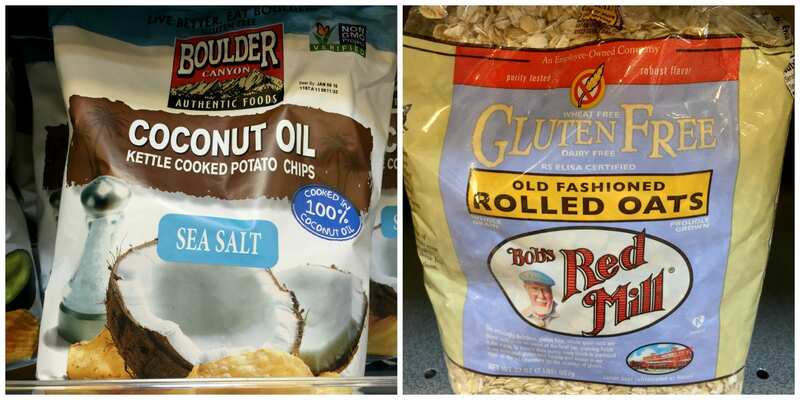 And the only ingredients in the potato chips were potatoes, coconut oil & sea salt. What a novel idea! Now the other versions of that brand of potato chips had some less than desirable ingredients, so like I’ve said, read your labels. Also the raw honey above had a $.50 coupon on it. It’s not much, but it’s a start! 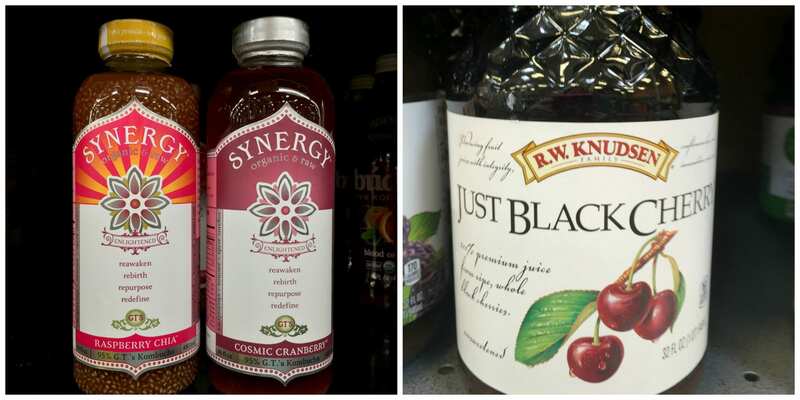 There was a decent selection of drink options available at Kroger. 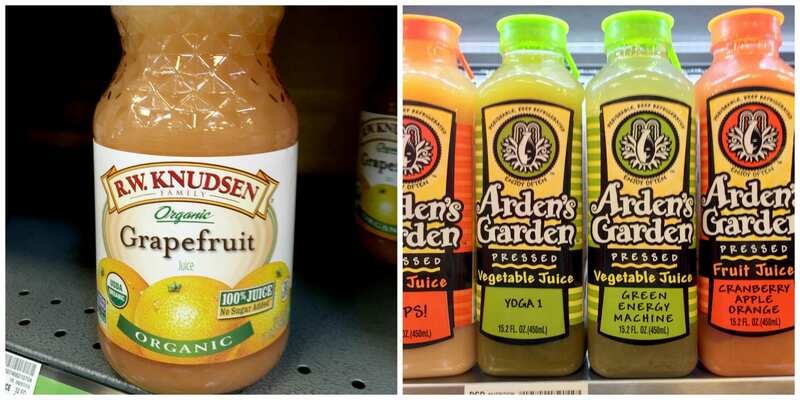 The Arden brand of juices is local to me here in Georgia, so search your store to see if there are any juices local to you. Yes, I know that eggs aren’t dairy. This is often a point of confusion for many people, so while I’m lumping them into one category in this post to maximize space, please remember eggs aren’t a member of the dairy family. 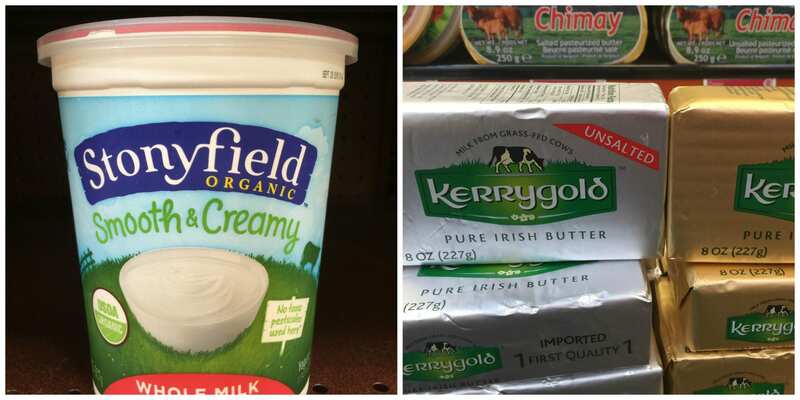 Kroger carries Kerrygold butter which is what I prefer to use in my house. While Kerrygold has come under scrutiny in the past for not being 100% grass-fed (more like 90 something), I still believe this butter is the best store-bought option in my opinion. As per usual, the only dairy milk carried by Kroger is ultra-pasteurized, a practice not endorsed here at Live Simply. Make sure you check around in your area for a local farmer where you can find some deliciously creamy raw milk. Many Krogers boast a wide selection of cheeses in their Murray’s cheese section. I didn’t look terribly closely, but I’m pretty sure none are raw. There were several brands of local cheese, though. I did, however, find Organic Valley raw cheese in the refrigerated section. I was quite disappointed in the egg selection at Kroger. 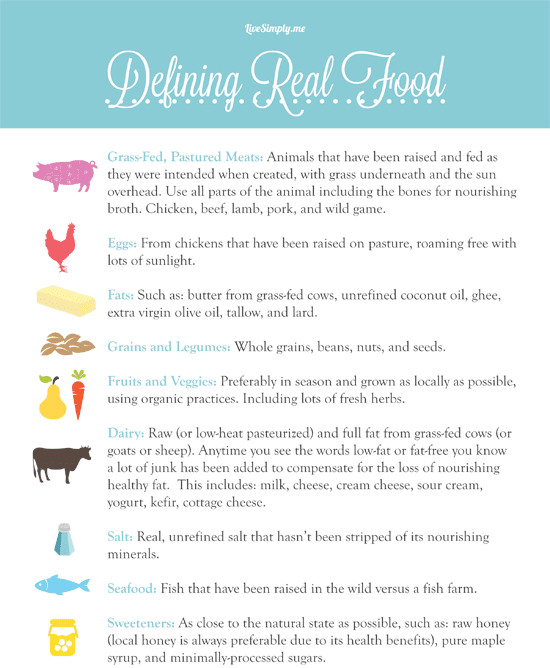 The only ones I saw in the “Live Naturally” section were the ones above that are “natural,” “cage-free,” and “grain-fed.” None of which are very good adjectives in my opinion. I’d definitely suggest you try sourcing free-range eggs in your area. You never know where you might find them. One day I was driving along a fairly suburban section of town and noticed a sign in someone’s yard selling local honey. So I stopped by and low and behold she has a bunch of free-range chickens in her backyard and sells eggs as well! 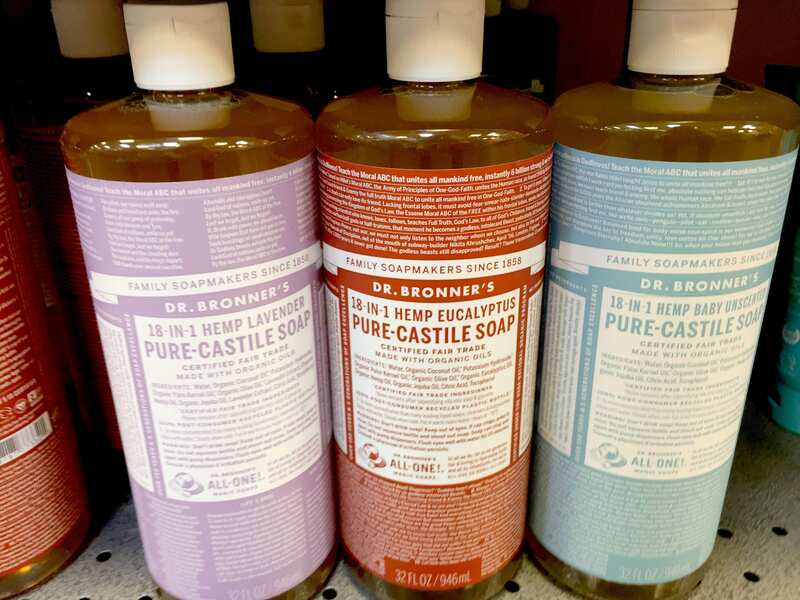 Of course there was some Dr. Bronner’s soap at Kroger and the sale price was so good a bottle might have found its way into my cart that day. But besides that and a couple of other random items, I was a bit disappointed in their health and beauty section. I had a lot of fun filling in for Kristin on this expedition and I appreciate your joining me for another shopping trip! 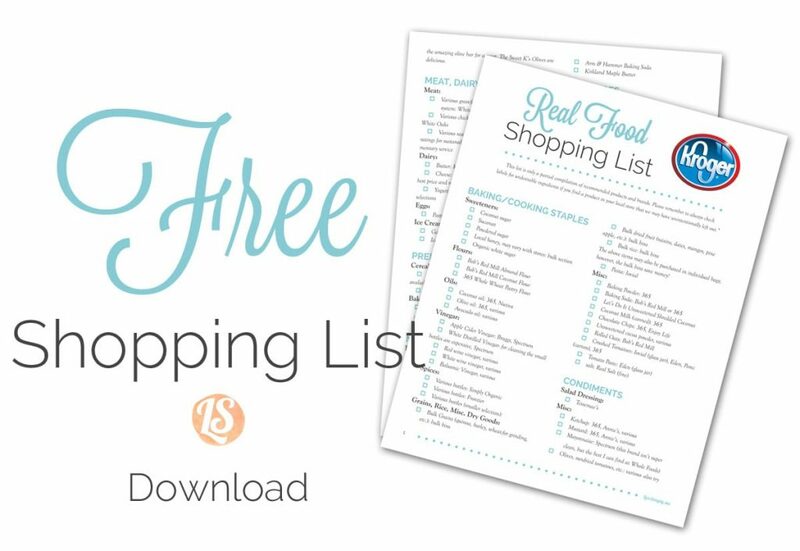 Before we part ways, I want to leave you with a special gift–a printable shopping guide! Next week we will visit the final store in this series. Click on the image below to download and print your shopping guide. Special Note: Thank you to the Kroger marketing department and for the store manager for granting me permission to come in and take photos at the Kroger in my area. So glad you did this one, here in the southwest Kroger stores are called Fry’s Grocery Stores and in Utah they are Smith’s. I have also found The Happy Egg Co. eggs and Maple Hill Creamery yogurt (which I like to use as a starter) we get some of the best prices at this store, they have great sales and sometimes if the eggs are close to their date I have gotten them on special for as little at $2! That’s awesome, Bethany! 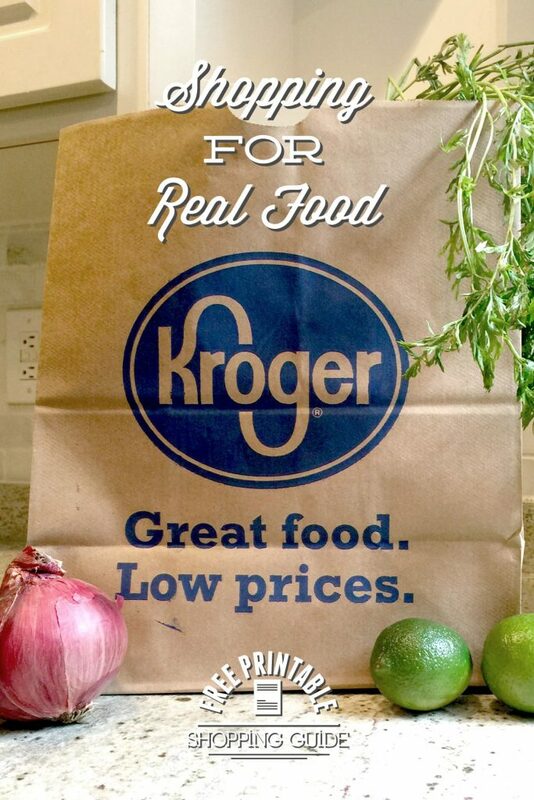 I didn’t know Kroger went by a different name in various parts of the country. I love Maple Hill Creamery–their yogurt is amazing!! I loved Kroger! We just left Christiansburg, VA, and Kroger was the main grocery game in town. At first, I wasn’t sure about Kroger’s organic offerings, but in the 4 years I shopped there, they really expanded the Simple Truth brand. The *best* thing about Kroger is the coupons they send to you in the mail. They’re based on your shopping and you have to have a Kroger card. Every month or so I’d get coupons for items I regularly bought like organic boxed salad greens, organic eggs, etc. It was awesome! That’s awesome, Katie! So much good information–thank you so much for sharing! Good review of Kroger! 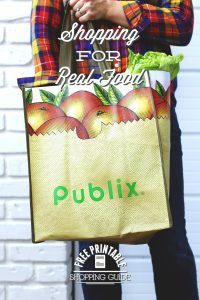 I grew up in Florida so am very familiar with Publix, but currently live in Tennessee. 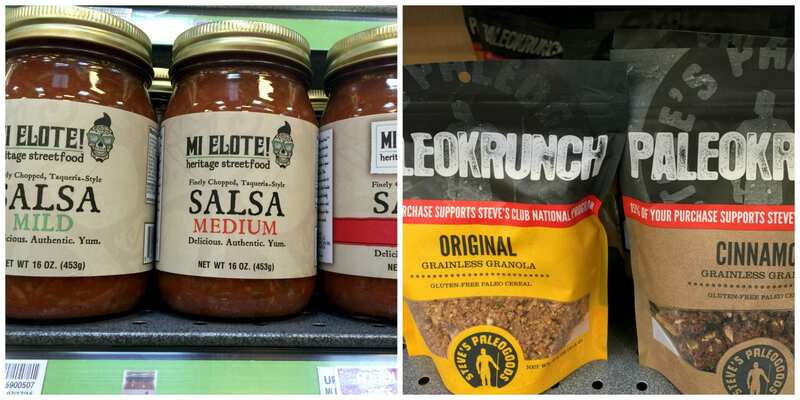 The nearest Whole Foods, Earth Fare or Fresh Market are all over an hour away from me so I shop at the local Kroger. No bulk bins, no Kerrygold, but a decent selection of organic foods. Definitely still need to read labels! Love the fuel points program- my favorite way to max out the earnings is to buy gift cards when they offer 4x points. I bought Disney cards to use for a trip and earned 2 fill ups at $1 off per gallon for this month! I also do the survey on the receipts- 50 points per survey. 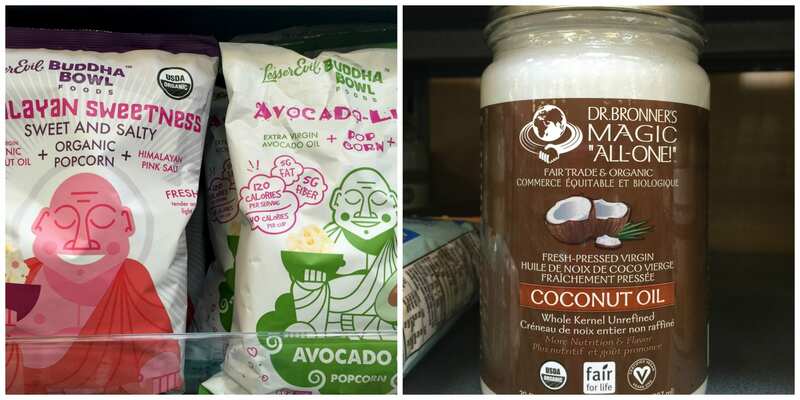 Love the Boulder Chips(I can’t get the coconut oil kind, my store sells avocado oil) and the Buddha Bowl Sweet & Salty popcorn is so good. Agree that the health & beauty section is lacking. The meat is just mediocre- wish mine sold that ground beef you show. Usually order meat from a local organic farm, but limit this due to high cost. Thank you for sharing the suggestion to request items- that may be a great way to get what some of the larger Kroger stores stock! 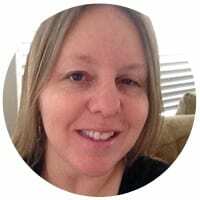 Hey Donna, Thank you–I’m glad you enjoyed the review :). Thank you for sharing your experience! It sounds like the request items option is a great way to bring in real food that may not be available at a specific store–let us know how that goes! Hi! Your comment above stating Simple Truth is not exclusive to Kroger is incorrect. 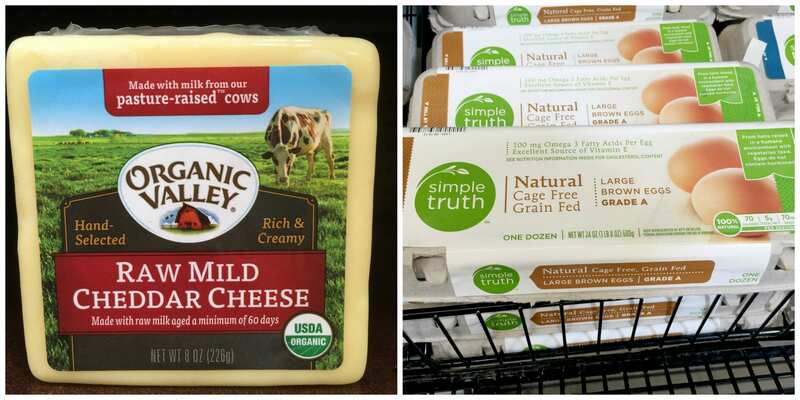 Simple Truth and Simple Truth Organic is a premium store brand exclusive to Kroger and its other banners. Other banners are: Fred Meyer, Ralph’s, Frys, Smiths, King Soopers, Dillon’s, Food 4 Less and QFC. Thanks!